RSR is not a racing team; but rather, is a motorsport group that represents an elite group of pre-selected drivers. RSR currently represents; Josef Newgarden, Spencer Pigot, Neil Alberico and Oliver Askew. RSR's drivers are all born in the United States; however, they retain dual nationality or are eligible to obtain dual nationality through one of their parent's nationality. Art Wilmes has been a fan of open-wheel racing for nearly 40 years. 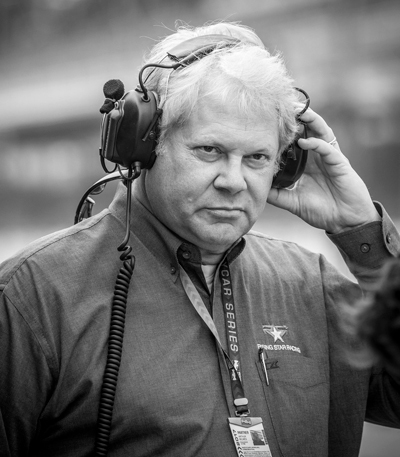 Next to his interest in the sport of open-wheel racing, Wilmes is a successful businessman and actuary in Indianapolis, Indiana. In 2017, Wilmes retired from his actuary firm and now operates as RSR’s CEO full-time. To date, the Verizon IndyCar Series, is the premier level of open-wheel racing competition in the United States. Previously, the Champ Car World Series (CART) was the premier level of open-wheel racing competition in the United States and was sanctioned by the Indy Racing League (IRL). In 2008, the IRL and CART Series merged; thus, creating the single-sanctioned body, IndyCar. The complete Verizon IndyCar Series is owned by Hulman & Company. The Hulman family own the Indianapolis Motor Speedway and produce the world’s largest single-day sporting event; the Indianapolis 500. Separate from the Verizon IndyCar Series, the Mazda Road to Indy Series (MRTI) is a driver development program that complements RSR’s initiatives. Founded in 2010 and sanctioned by the Verizon IndyCar Series, the MRTI Series is comprised of three series; USF2000s, Pro-Mazda and IndyLights. The MRTI Series offers a scholarship-funded path to the Verizon IndyCar Series. The presented scholarship is awarded to the three series champions and advances the driver to the next ladder with the funding necessary to compete. With Rising Star Racing (RSR) founded, Art Wilmes understood the need to legitimize his motorsport group. After careful consideration, Wilmes signed RSR’s first driver, Josef Newgarden in 2013. As it stands to date, in order to compete at the highest ladder of open-wheel racing in the United States, it takes financial support and talent. Previously, the sport of open-wheel racing was so profitable that talent nearly “sold” the driver. RSR seeks to develop natural racing talent and compliment it with the financial support needed to compete, through a “brand ambassador” program. The program itself has been developed to allow RSR the ability to take its assets and grow the program; while the drivers themselves have the financial support, they need to further their respective careers. In 2014 RSR signed Spencer Pigot. At the time of his signing, Pigot was competing in the United States’ lower ladder series, vying for a chance to compete in the highest ladder through the driver development program – Mazda Road to Indy (MRTI). With continued success from Newgarden and Pigot, RSR signed Neil Alberico in 2015. Like Pigot, Alberico was competing in the MRTI Series and was vying to reach the next ladder of open-wheel racing within the MRTI Series – Pro-Mazda. Pigot successfully completed the driver development ladders and has reached the premier level of open-wheel racing in the United States. He is to date, the most accomplished driver to have ever completed the lower-ladder competition. Alberico completed the Pro Mazda Series and advanced on to compete in the IndyLights Series. Alberico has spent the last two years competing in the series. In 2017 RSR signed its fourth driver, Oliver Askew. At the time of his signing, Askew was competing in his first season of open-wheel racing in the United States. Askew was competing in the RTI’s lowest ladder, the USF-2000’s series vying for his chance to compete in the next ladder – Pro-Mazda. As it stands to date, RSR has three drivers with entries in two separate series. Josef Newgarden and Spencer Pigot will compete against one another in the Verizon IndyCar Series and Oliver Askew will compete in the Pro-Mazda Series presented by the Mazda Road to Indy.